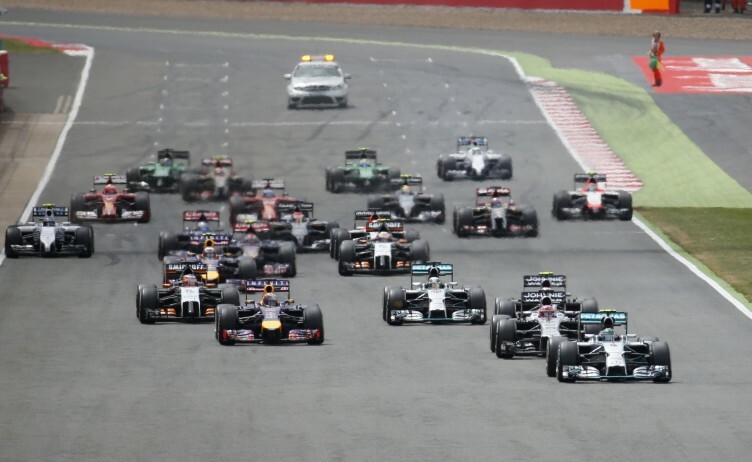 The British Formula one (F1) Grand prix is the tenth race in the 2016 Formula one (F1) season in Silverstone at the Silverstone circuit on the 10th July 2016. The British Grand Prix is a race in the calendar of the FIA Formula One World Championship. It is currently held at the Silverstone Circuit near the village of Silverstone in Northamptonshire in England. The British and Italian Grands Prix are the oldest continuously staged Formula One World Championship Grands Prix. It was designated the European Grand Prix five times between 1950 and 1977, when this title was an honorary designation given each year to one Grand Prix race in Europe. All British Grands Prix dating back to 1926 have been held in England; where the British motor racing industry is primarily located. 1987 saw Silverstone modified; the Woodcote chicane was no longer used and a new left-right chicane was built on the Farm Straight just before Woodcote. Silverstone’s layout, like Brands Hatch, had changed little since 1949. The circuit was still fast; and it saw Mansell charge after Piquet (who had decided to run the whole race on one set of tires) and the British driver broke the lap record 11 times, caught and passed Piquet and took victory; the Silverstone crowd broke ranks and ran onto the circuit after the race was over; this was to start a number of dramatic events surrounding Mansell for the next 5 years. 1988 saw Senna win a rain-soaked event, and Mansell finished 2nd after driving very hard and passing many cars to attempt to catch Senna; this was one of Mansell’s two race finishes that season. 1989 saw Prost win in a McLaren after his teammate Senna went off at Becketts; Mansell finished 2nd again driving for Ferrari; and sometime after the event, it was decided that Silverstone, the fastest circuit on the Formula One calendar, was to be heavily modified, and the project would be completed for 1991. The 1990 Grand Prix was the last motor race on the high-speed circuit; and Mansell drove hard and led a lot of the race; but gearbox problems eventually forced him to retire, where he threw his gloves into the crowd and announced that he was going to retire, a decision that he would later take back; and he effectively dominated the next two events, driving for Williams. The circuit was now slower and every corner on the circuit except Copse was different, and it also included an infield section right before the pits. After 1992, Mansell had retired from F1, and 1993 saw new Williams driver Damon Hill lead much of the race until his engine blew up, and Hill’s French teammate Alain Prost took his 50th career Grand Prix win. After the tragedies of Imola in 1994, a chicane was installed at the flat-out Abbey corner 6 weeks before the event was due to take place and Stowe corner was slowed considerably. Hill won the event, something his double world champion father Graham never did. 1995 saw another British driver, Johnny Herbert, take victory in his Benetton. 1996 saw further changes to the circuit, where Stowe was more or less restored to its 1991 design, and the 1999 event saw double world champion Michael Schumacher crash heavily at Stowe; he broke his leg, missed many races and this put him out of championship contention. There were attempts to bring the British GP back to Brands Hatch for 2002, but this never materialized. The 2003 event was disrupted by a defrocked priest, Cornelius Horan, who ran onto the Hangar Straight during the race while cars were coming at him at 160+ mph. Marshals were able to get him off the track before he hurt himself or anyone else and he was later arrested; Brazilian Rubens Barrichello won the race for Ferrari. A dispute between Silverstone’s owners, the British Racing Drivers’ Club (BRDC), and the Formula One authorities in 2003 over the funding of necessary improvements to the track’s facilities led to doubts over the future of the race. In October 2004 the British Grand Prix was left off the preliminary race schedule for 2005 because the BRDC refused to pay the race fee demanded by Bernie Ecclestone. However, after months of negotiation between the BRDC, Ecclestone and the Formula One constructors, a deal was made for the Grand Prix to be held at Silverstone until 2009. 2008 saw Briton Lewis Hamilton win for McLaren; and on the 4 of July, it was announced that Donington Park had been awarded the contract to host the British Grand Prix for 10 years from 2010. However, Donington failed to secure the necessary funding to host the race, and its contract was terminated in November 2009. On 7 December 2009, Silverstone signed a 17-year contract to host the British Grand Prix from 2010 onwards. The 2010 race saw a new circuit configuration being used, using the brand new “Arena” layout. For 2011 a new pit complex was built between Club and Abbey Corners, to where the start/finish line was moved. Silverstone is still a very fast circuit- with average speeds up in the 145 mph range for Formula 1 cars; one of the highest average speeds on the F1 calendar. Despite the controversy and political bickering that has surrounded the future of the race in recent years, the British Grand Prix at Silverstone remains one of the world’s premier motor racing events. The Silverstone circuit lies 37 kilometres away from Sywell Northampton airport (EGBK) around 35 minutes by car subject to traffic. A helicopter transfer from Sywell Northampton airport will land you at the Silverstone circuit in 10 minutes . Alternatively, fly to Oxford Kidlington airport (EGTK / OXF), and arrange a helicopter transfer which will take 15 minutes. The drive from Oxford Kidlington airport will take around 40 minutes subject to traffic. Arranging a private jet charter or helicopter transfer with Freedom Air to arrive in style to the British formula one (F1) grand prix in Spielberg is simple. The Freedom Air team can be reached on +44 (0) 1275 548001 and charters@flyfreedomair.com to book your next trip.